Polartec® Hardface® is a patented polymer surface treatment applied to enhance durability. 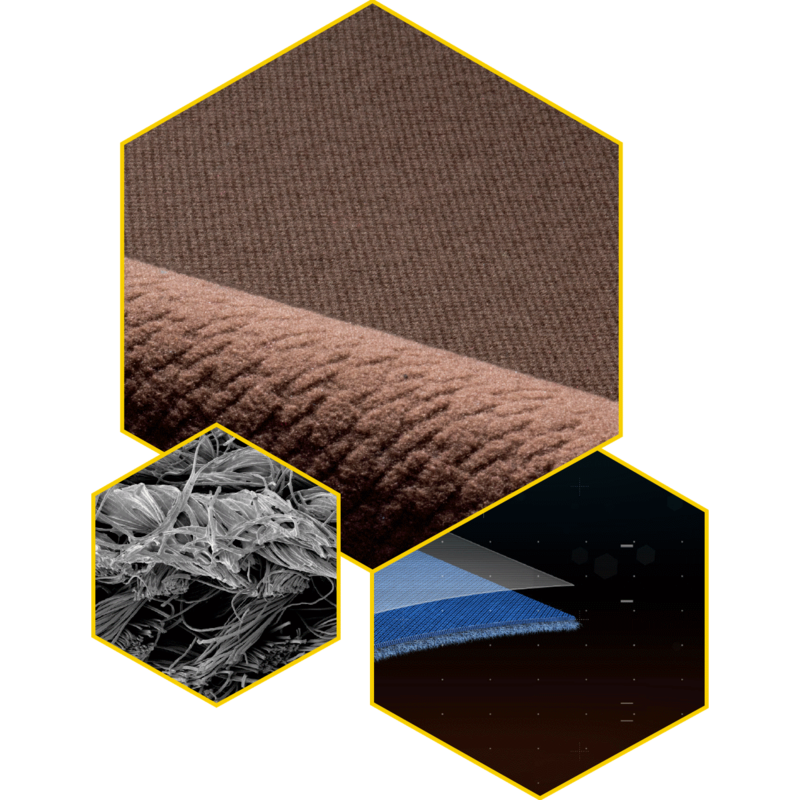 Fused at the fiber level, Hardface® increases abrasion resistance and water repellency. Select Hardface® styles feature DWR to add even greater water repellency. Breathability is not sacrificed by the Hardface® coating of each individual fiber. Hardface’s added fabric protection maintains performance quality and extends the life of garments. The Finishing Touch for Durability. Polartec® Hardface® expands the benefits of polartec’s high performance fabrics. Hardface® creates a smoother exterior finish to resist abrasion and snagging, for a longer garment life and lasting look. This polymer treatment bonds with every fiber of the outer surface to add weather resistance. The precision application of Hardface® increases the strength of any fabric style. Chat with our team to learn more about Hardface® fabric technology and how other partners have used it to make innovative new garments.